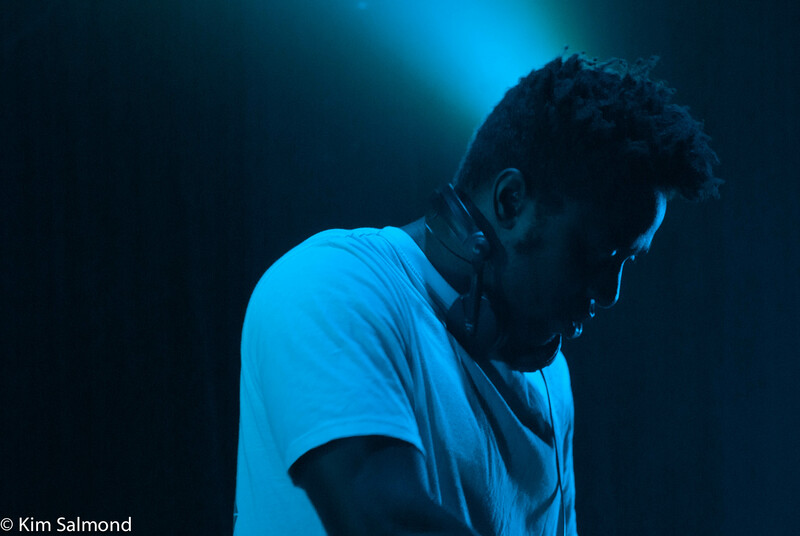 Before heading to Perth for the Circo Festival this weekend, Bloc Party‘s frontman Kele Okereke hit the decks in Melbourne to play a DJ set, mixing tracks from his recent EP and debut album. He was supported by Hayden James and Odesza. Sydney EDM star Hayden James started the evening off with his groovy and explosive tracks, including his debut single “Permission To Love”. Having just ended his tour with one of Australia’s current biggest bands, Rüfüs, supporting Kele is a brilliant way to end his touring schedule and reinforces James’ talents. Acclaimed Seattle-based electronic duo Odesza took to the stage next to the delight of the crowd. Despite this being their first Australian tour, they received a large welcome and anyone could of mistaken by the crowd’s reaction that they were the main act. As a duo, both these lads synchronise well together on stage, bringing a great cohesive energy to their sample-based mixes. With the crowd well energised by Odesza’s set, Kele launched into his DJ set featuring his solo work, mixing tracks from his debut album The Boxer, and EP’s Heartbreaker and Candy Flip. This set really emphasised his forward-motion shift towards more dance and house music. While his first solo album still had elements of his indie rock influences heard in Bloc Party records, each EP since has noticeably become more electronic in nature, and this reflects his musical freedom as a solo artist to explore these particular genres. What I was expecting from the set was to recognise his solo tracks however I struggled with this as the mixes had removed Kele’s vocals making it challenging to differentiate each track. Despite this, his mixing ability and the intricate layers of his house tracks made them irresistible to dance to. What lacked in the set however was energy both from Kele and the crowd. Kele is known for his reserved and shy nature, which is an interesting dynamic as a DJ. Throughout the set, Kele was very focused on his mixing and rarely interacted with the crowd, limiting his ability to create energy on stage which therefore had an impact on the energy levels in the crowd. While there were people dancing along, it was a subdued crowd. Before having seen the party that went on at Rufus’s mid-week show last month, I may have reasoned it down to mid-week sensibility, but Kele was playing a tough indie crowd who were essentially there to see the lead-singer of Bloc Party. Despite this, Kele demonstrated that he is a talented musician that can create music that isn’t restricted by genres. Tags: 170russell, australianmusic, blocparty, british, circo, circofestival, haydenjames, internationalartist, internationalmusic, kele, livemusic, melbourne, Music, odesza. Bookmark the permalink.